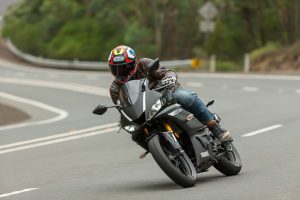 CycleOnline.com.au tests the 2019 Yamaha YZF-R3. 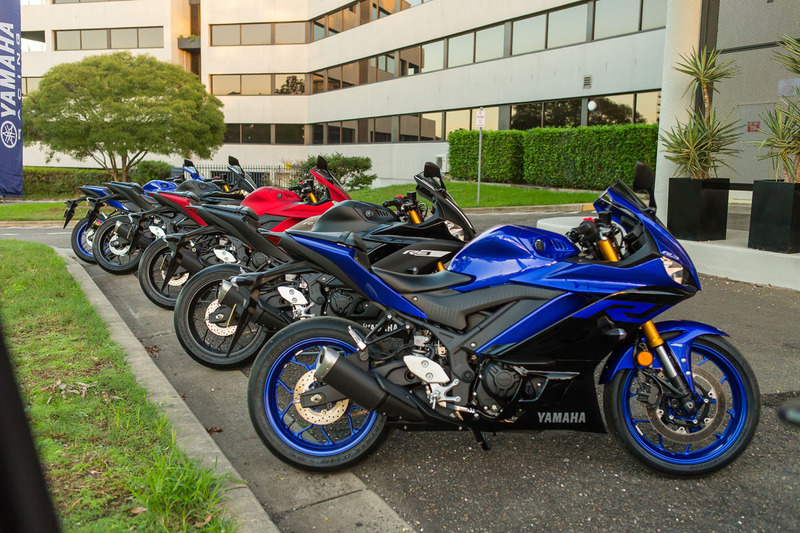 The Yamaha YZF-R3 took the lams bike market by storm back in 2015, being not only an easy bike to ride for the first-timers. 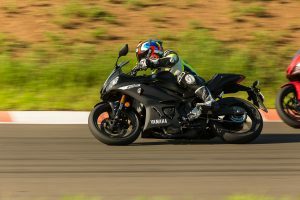 but a surprisingly good all-rounder – a bike that was at home in the hands of a returning rider or even on the race track. 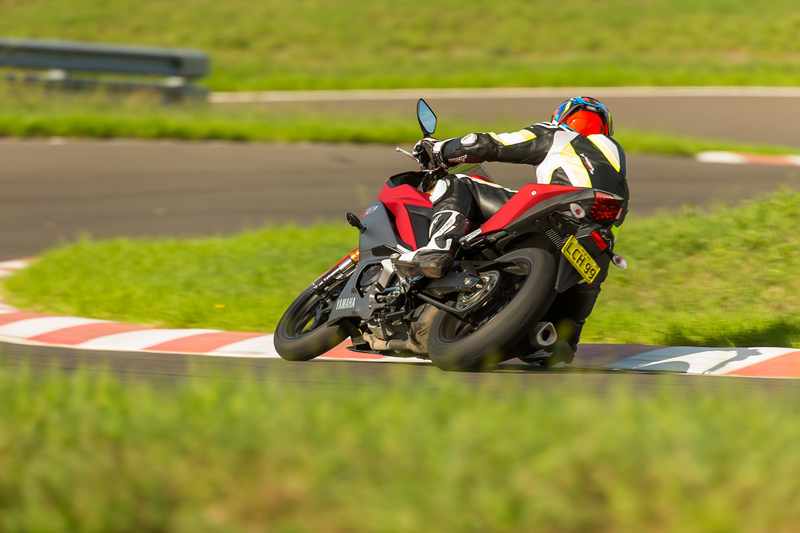 It’s been the weapon of choice for younger racers or track day punters due to its thrill per dollar factor, and forms the bulk of the grass roots racing category in many supersport 300 classes around the country. 2015 was a massive year for Yamaha as the new big-bang YZF-R1 sculptured to look like Rossi’s M1 also came on song, perhaps putting the YZF-R3 in the shadow slightly. 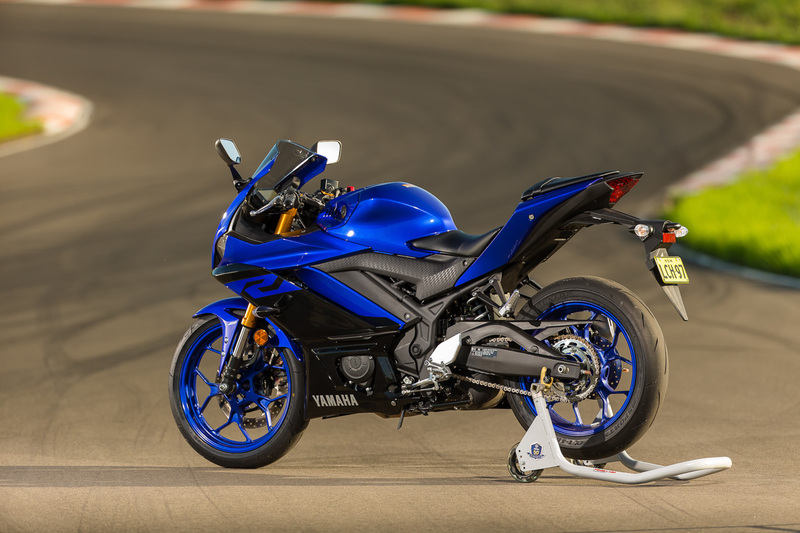 Two years later a new YZF-R6 entered stage, that bike also had the MotoGP inspired look and feel but the R3 continued unchanged. Finally, the 2019 YZF-R3 has now completed its morphing phase, and itself is the mini GP replica it always wanted to be. 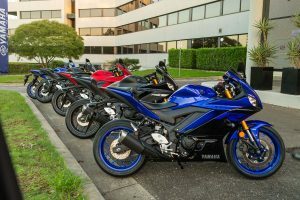 Two days of road and race track riding was the plan Yamaha Motor Australia had put forward as its introduction of the new bike. 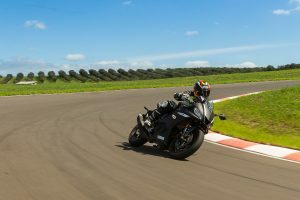 Having followed the Australian Superbike Championship (ASBK) and watched the WorldSSP300 racing, I knew how adaptable the R3 was, but till now I hadn’t ridden one on track, so to have a day on road and the other at Luddenham Raceway was a great way to showcase the diversity of this new machine. We met at Luddenham, just near Penrith, where there were several bikes ready to test. The standard bikes with Dunlop Q14 tyres fitted in all three colours were the main bike on offer, but I also spied the Demery-prepared 2019 R3 race bike in the back ground. Day two was to be spent riding around the Blue mountains, a more leisurely real world. There was plenty of traffic, a bit of scratching, and some commuting between the good bits. Although it’s got a much sexier look now, the basis of the R3 remains similar. 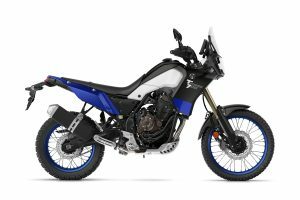 The donk is the same reliable liquid-cooled DOHC, four-stroke parallel twin that it always was and the frame is the proven steel diamond chassis of the first model. 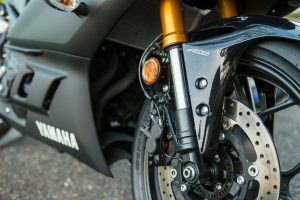 The swing arm, wheels and rear suspension linkage are also unchanged but that’s pretty much where the similarities end. 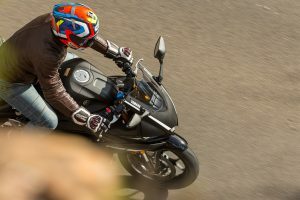 The first striking thing you notice when you lay eyes on the R3 is its similarity to its brothers and sisters with its beautifully proportioned fairing, which although slightly lower than before in height, but at the same time gives more protection. Yamaha say that the new fairing is worth another 8kph top-end, which will certainly help those racers out there, and on the road, will benefit those searching for more economy. There isn’t an angle of displeasure insight, the whole bike flows and looks like it’s bigger brothers so much so that riding past it’s hard to see the difference. Credibility hasn’t been only increased in the look department as some very important mods have been made to the front end. The standard 41mm fork of the old bike has been laid to rest and a much more modern and higher quality pair of 37mm USD KYB units have taken their place. These forks are non-adjustable, but a higher standard spec ensures a more refined ride under all conditions. There are already fork kits available for the budding racers through Ohlin’s, which I was lucky enough to test. New triple clamps hold the fork set and a new more aero dynamic front guard rounds out the package. 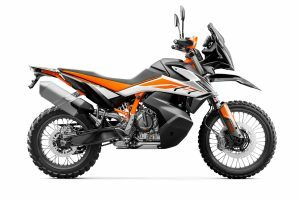 I eluded before the link was the same, which it is, but a sportier more controlled internal rear shock setting is fitted this year with a slightly firmer rear spring which matches the front improvement. Ergonomically the bike feels roomier as well, a new tank takes its place 20mm lower than the old model but keeps its capacity by being wider at the top. 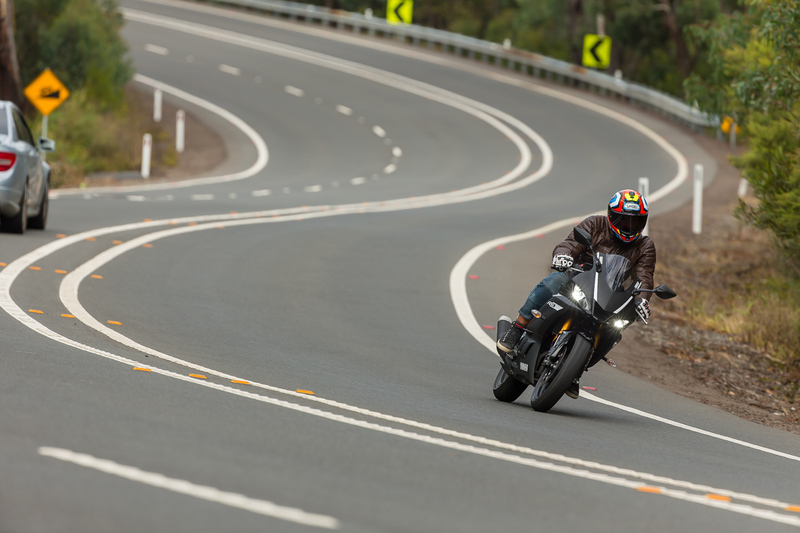 A tad more than 31mm wider, and although this difference doesn’t sound much, it allows the rider to really feel part of the bike when cornering and changing direction. Due to the lower nature of the bike, the bars are also lower than the last generation machine, but don’t let that fool you in to thinking it’s an out and out racer, because it’s not. The seating position at 780mm feels low and comfortable and not crouched at all. A new dash has certainly blinged up the cockpit, gone is the analogue clock with an LCD unit taking its place. 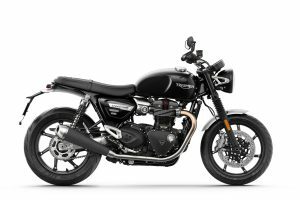 It’s got the standard fare of information for a bike like this with trip meters, fuel economy and fuel gauge taking up most of the screen with a bar type tacho across the top that whips across the screen every time you give the little R3 a rev. Lighting has been bought into the 21st century with twin LED reverse slant lights up front offering better performance than before and a matching LED tail light. Powered by a 321cc twin-cylinder engine, the R3 delivers adequate power for navigating traffic, carving twisty roads, or maximising fun on the race track. The reliable powerplant features the latest combustion technology together with lightweight forged aluminium pistons and all-aluminium DiASil cylinders with an offset design, the smooth-running and quick-revving YZF-R3 engine produces easy-to-manage power. 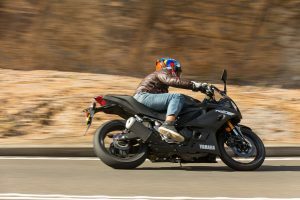 It has has plenty of power off the lights and is easy to take off on with good clutch actuation, while the hidden gem in this bike is its updated ECU – it can transfer twice the information in the same given time and that’s across the board. It means the fuel is metered better, the tune feels better, and the ABS works better and all those things go on to make the R a much more rounded package. I first headed out on to the flowing Luddenham circuit on the stock road bike and took it easy for a few laps. I wanted to feel the bike at normal speed and I’ve got to say I was impressed. Body position is natural and the bike felt sure footed from the outset, no need to adapt it was just right. The upgrades to the suspension were noticeable, I remember the original machine was a little sloppy feeling but the new R3 just feels tighter. It was confidence inspiring and I could turn and dive to the part of the track I wanted to. As I picked up my pace that composure stayed with the bike, remembering the standard machine only has 30KW. It didn’t matter how hard I pushed, it did everything I asked. It cornered well and braked well, it didn’t do anything silly even when I was goaded to push to the limit. 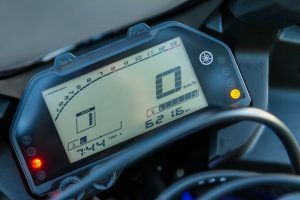 The aero package worked a treat as I tucked in down the straight – I could get my whole body in behind the fairing and still read the LCD dash as I clicked through the gearbox. It was obvious that the claims of more to speed are probably true. 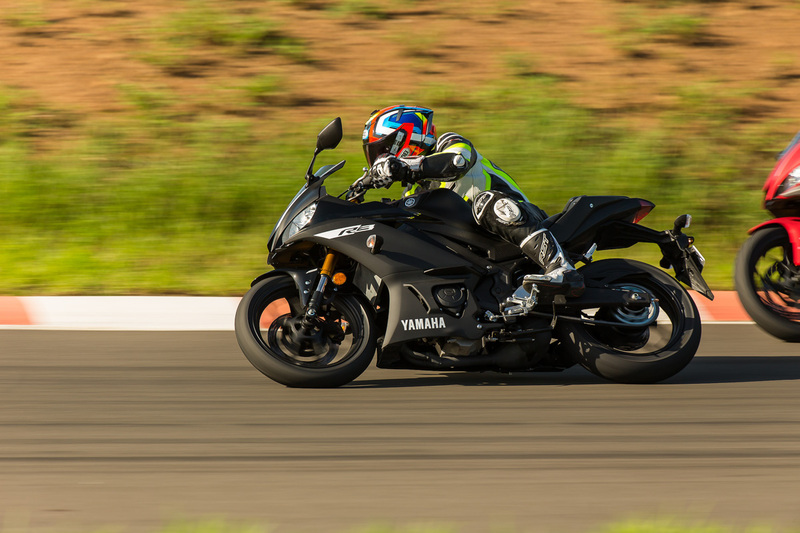 The ABS is the first thing you would take off a bike like this if you were heading to the track but it also passed the test as above average, only cutting in occasionally when it shouldn’t. No big deal but it’s not meant for the track and gets taken off for racing, but on the road, it worked perfect. 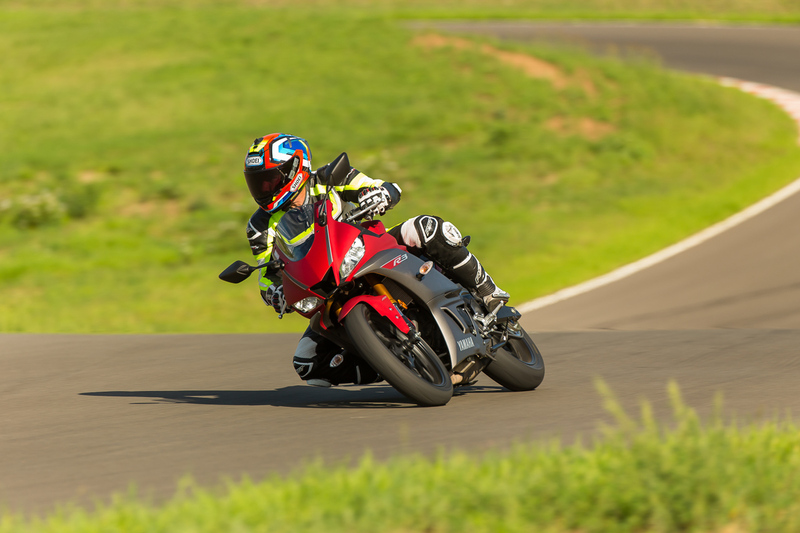 Later in the day I got to ride the 19-race bike and boy that was sensational. The Pirelli Diablo tyres stuck like glue and with the weight of all the road going items paired off plus and Akrapovic pipe giving five more horsepower – there was a definitive increase in speed. I ride a lot of big bikes on track and have raced big bikes throughout my career, I’ve never had quite so much fun as I did on that bike. It had the Ohlin’s cartridges fitted front and a rear shock and at the extra speed it worked a treat. The bike rode the bumps much better than standard and turned tighter than the street version. Driving out on to the straight I could wind it up earlier too, it was just such a nice bike to ride. 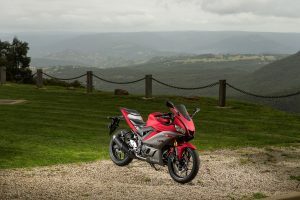 The R3 proved to me it was a chameleon, having stiffer suspension than last year didn’t mean a bumpier ride through day to day life, rather more direct steering and more control. On the road, it’s a bike that gives the rider confidence that lets you concentrate on your surroundings rather than riding the bike. Ideal for the learner or just as happy cruising with an experienced rider behind the bars the R3 covers most bases. I liked the way it felt narrow through the traffic as it let me squeeze myself through gaps with ease. The brakes were up to scratch and had a smooth action. 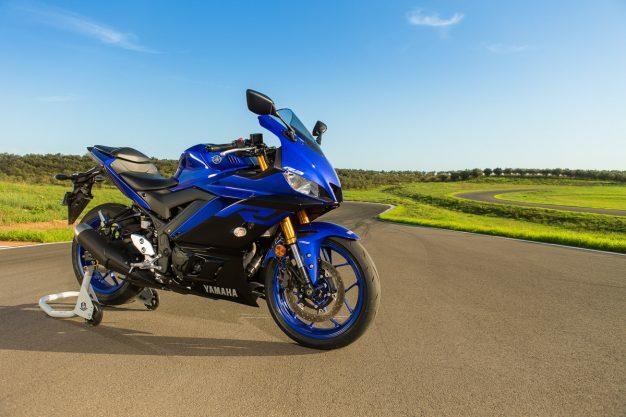 It was a hard bike to fault and with its new-found face and a similar price tag to the old model I think Yamaha should sell plenty. Its light, its low and its smooth and for the price it’s hard to surpass. There is no such thing as a bad bike anymore and this R3 is in that vain. 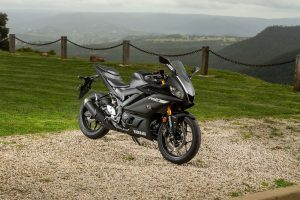 As I stated at the start, there is competition creeping in now with bikes like the 400 Ninja hitting the market so changes did need to be made to keep up with the joneses. Has enough been done? Absolutely, if you’re a Yamaha fan our new to the brand you could only feel proud riding around on the new R3.